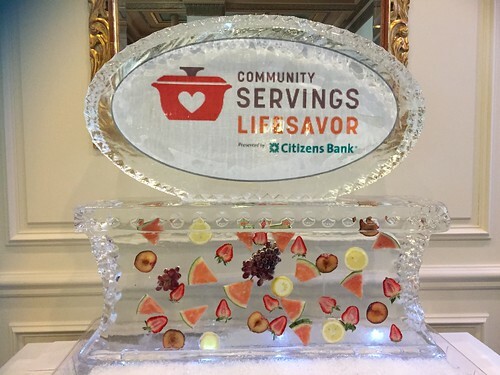 Community Servings is one of the nonprofits in Boston I love supporting .They prepare nutritious meals for the homebound and critically ill, each meal catered to each patient's condition. 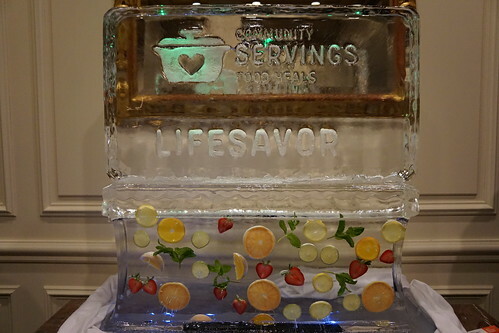 Each year, they fold a big fundraising event called LifeSavor, which starts with a festive gala reception at The Langham Hotel. Guests can sign up either for the reception alone or for a multi-course dinner. After the reception, they will be transported to one of the participating restaurants for dinner and after the dinner they'll be transported back to The Langham for a dessert after party. This year's participating restaurants include Bondir, Craigie on Main, Bar Mezzana, Toro, Oleana, Mistral, and many more. See here for a full list. 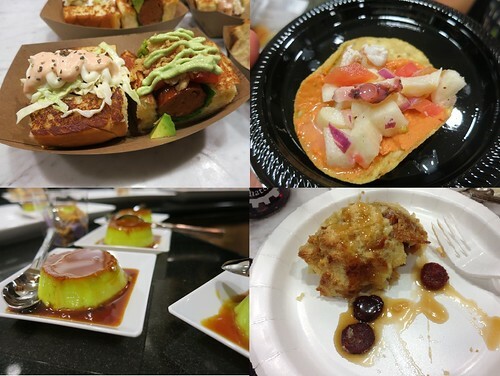 Since 1993, restaurants in the Boston's North End join forces each year for a food festival that benefit North End charities at Taste of the North End. This year's event will be held on April 28 at the DCR's Steriti Memorial Rink. Guests will be able to taste food from smaller North End businesses that normally don't participate in food festivals. 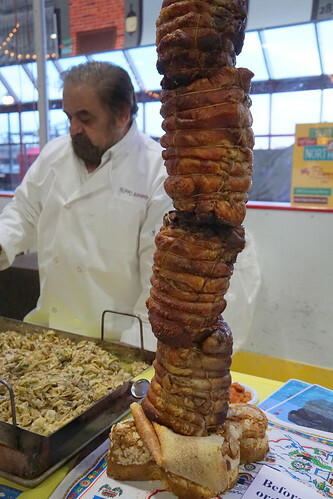 This chef and this porchetta tower was everything .. 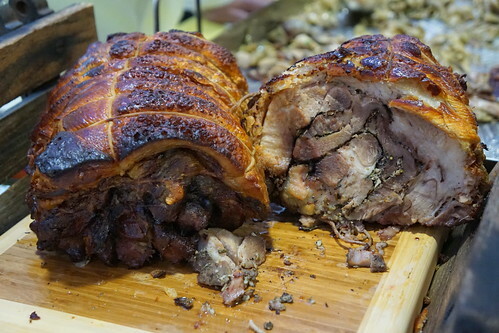 The porchetta was from Filippo Ristorante, and they will be participating this year as well. 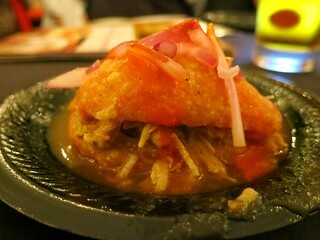 Tuna poke from Hojoko, the fun and hopping izakaya inside The Verb Hotel. Top Chef alum Tiffani Faison actually has two restaurants in Fenway, and she brought both to the festival. I love when the chef is personally on hand to cook at these festivals, it shows their dedication! 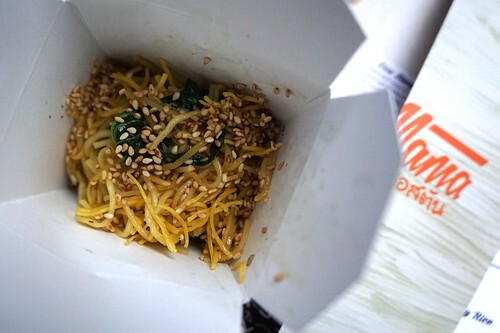 She did a Singaporean Street Noodle to showcase her Southeast Asian spot, Tiger Mama. 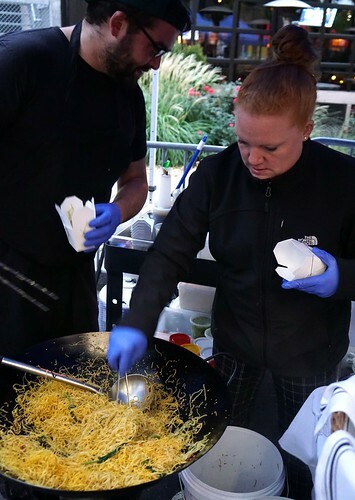 The Taste of Italy will be back for its seventh year, and this year’s food and beverage participants include food-scene mainstays like Drago Centro, Valentino, Rao’s, Locanda Del Lago, Pedroncelli Winery, and Peroni, among others. Benefitting The Italian American Museum of Los Angeles, these restaurants will feature finest Italian cuisine and wines on October 10th in Little Italy’s iconic 1869 Pico House, right across from the Union Station. And let’s not forget about cooking demos from some of the most revered Italian Chefs such as Chef Peppe Barone (director of the Mediterranean School of Food and Wine in Italy) and Chef Gianfranco Minuz (Locanda Del Lago). Slated to open later on in 2015, the Italian American Museum of Los Angeles will showcase the history and ongoing contributions of Italian-Americans to Southern California and the U.S. In addition to historical exhibitions, the museum will host film screenings, language classes, and a variety of cultural public programming. 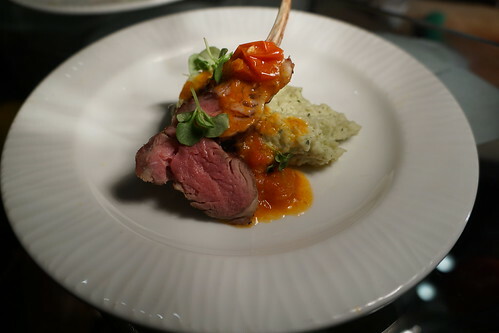 Last week I had a chance to sample many of the wonderful bites and wines to be featured at this premier food event. 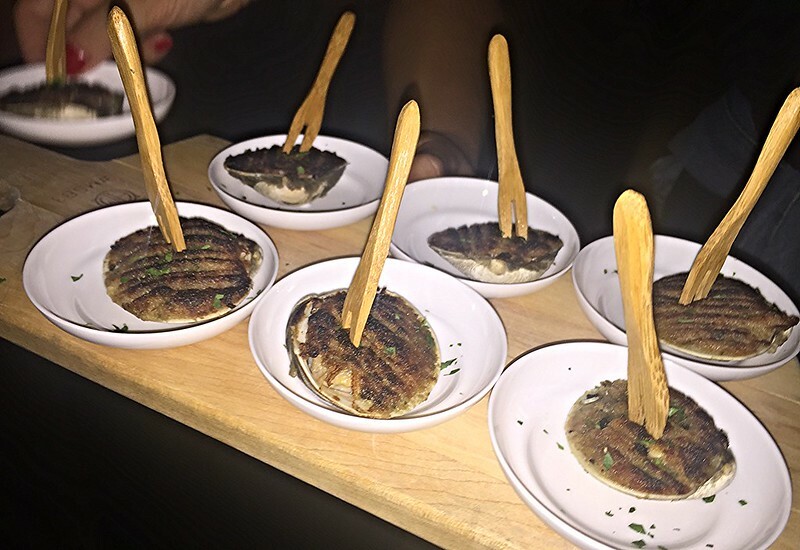 There were many memorable bites but my favorite was the Baked Little Neck Clams with Italian Breadcrumb Stuffing from Rao’s. This dish is the ultimate comfort food – It reminds me of Thanksgiving. Maybe in a better way! 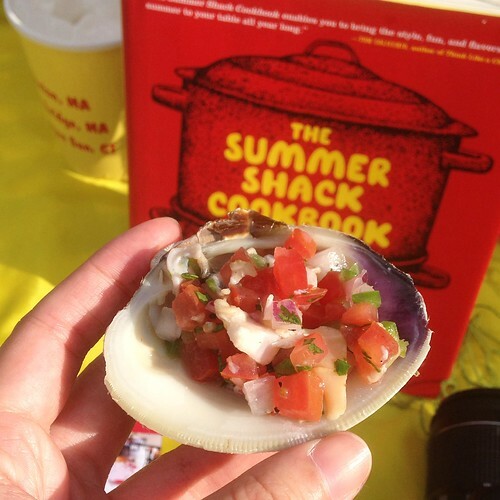 Clams were pleasantly supple yet the stuffing didn’t mask the inherent brininess of the shellfish. Stuffing was equally delightful - breadcrumbs were warm, moist, and crunchy. I could eat a tub of these! 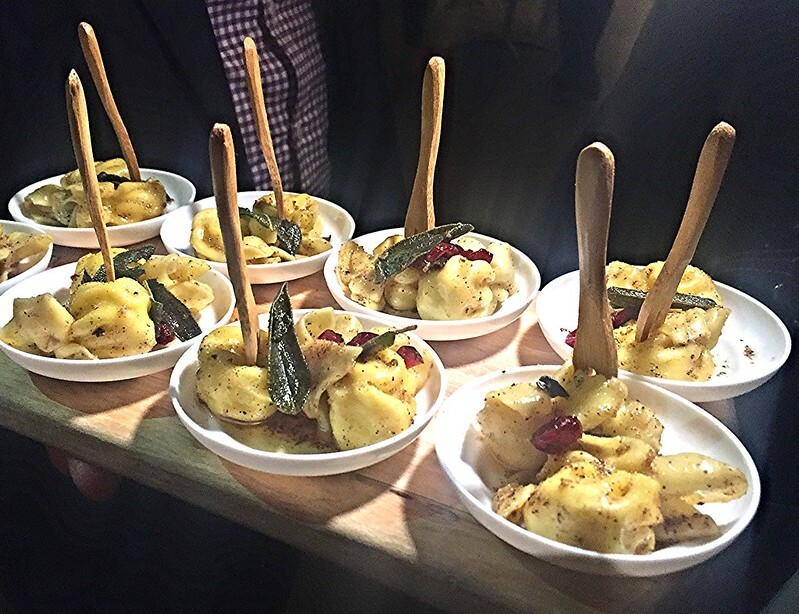 My other highlight was Rao’s Fiocchi Ravioli Filled with Ricotta Cheese and Bartlett Pears. Initially I was quite thrilled with the buttery flavor of brown butter but as I chewed through I loved the creaminess of the ricotta cheese and the sweet finish of the pear and dried cranberries. All the flavors meshed beautifully in right proportion. Taste of Cambridge returns on July 14, bringing the best restaurants in Cambridge for a great evening at University Park. There will be plenty of restaurants and bars serving up bites and drinks, and lucky for us, Cambridge has some of the best restaurants in Boston. There will be over 100 booths there! 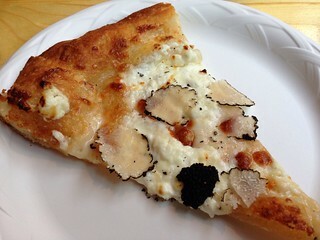 Among the restaurants coming are Summer Shack, Russell House Tavern, Flour Bakery and Cafe, Art Bar, and Puritan & Co. They've also brought in some new restaurants for an even bigger event. This year's new participants include some big names like Alden and Harlow, West Bridge, and Bondir Restaurant. 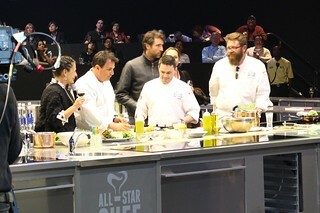 There are a ton of food events and festivals in Los Angeles, but the All Star Chef Classic plays it a bit different? Ever wanted to watch a cooking show or competition in real life? 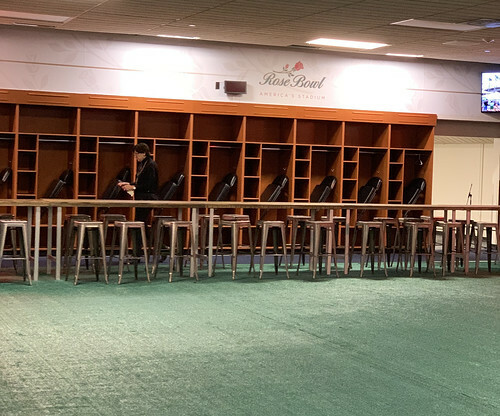 You can with their events at the Restaurant Stadium, built just for this 4-day affair. There are a total of six events where you can watch master chefs cook and compete in the stadium - while enjoying some great food, of course. At the Master Dinners (they are holding French, British, and American Master Dinners) you'll watch the chefs prepare your multi-course meal that you will then enjoy paired with wines. 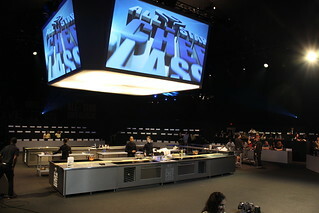 At some of the other events like Grill & Chill, 20 chefs will prepare bites that you can enjoy in the "Tasting Arena". Think holiday shopping is stressful? Then you should go to LA Weekly's Sips and Sweets presented by Keurig, where you can shop through LA's artisanal vendors while eating sweets and cocktails prepared by LA's finest. Oh, and you can even go for free if you win the ticket giveaway below. Lucky you. But first, the event details. 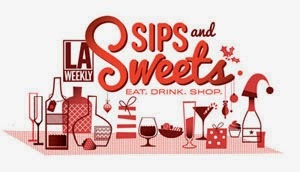 Sips and Sweets will be held on December 7th, from 2-5pm at The Majestic Downtown and The Reserve. LA Loves Alex's Lemonade is one of the favorite events of the year. This year, it will be held at a different location. They are bringing it to Wilson Plaza at UCLA on September 20 (from 12-4pm). 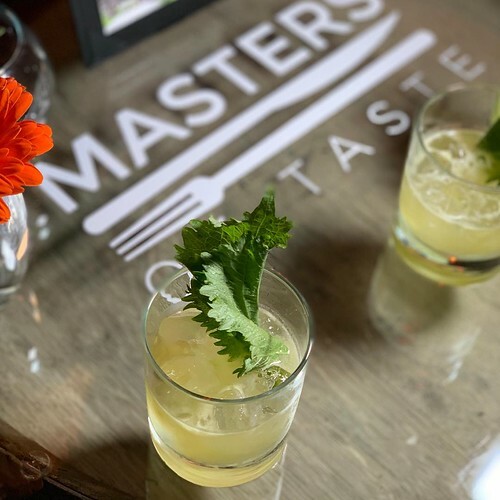 This festival gathers some of the best chefs, restaurants, and mixologists, not only from LA but beyond - and they bring their A-game, all to fight childhood cancer. Last year, Adam Perry Lang, author of Serious BBQ, was serving up some sort of BBQ sandwiches. I was avoiding the long line, but got there too late and they had run out of the sandwiches! It may have actually been a lucky strike, as I got this giant piece of rib as consolation. 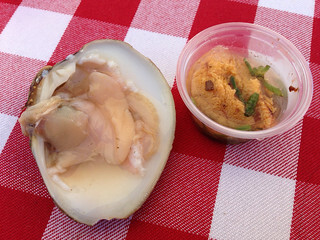 The Hungry Cat brought fresh seafood like these clams and sea urchin. 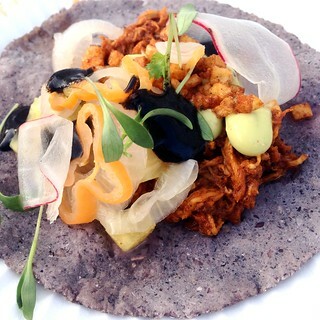 August Food Events in Los Angeles Not To Miss! This is Project by Project's Annual Tasting which benefits the Pacific Asian Counseling Services. This year's 50 participating vendors including hot new restaurants Republique, Faith and Flower, Superba Food and Bread, and many more great restaurants like b.o.s., Bistro LQ, etc (check out the full list). Tickets are $150 for general admission and $250 for VIP, which can be purchased here. 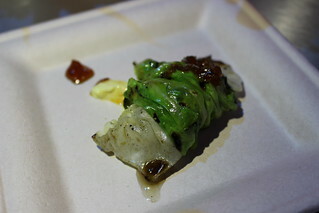 Lukshon's Sang Yoon hosts the third annual LUCKYRICE Feast, this time overtaking a club in Hollywood. 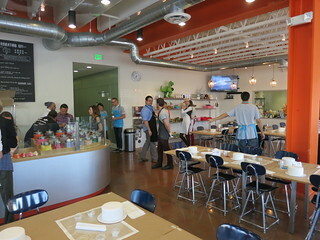 Participants include LA's Chef Jet Tila, Starry Kitchen, Lukshon (of course), Hamasaku, and more, along with Portland's famed Nong's Khao Man Gai. To keep you hydrated, bartenders from Pour Vous, Harlowe, Hinoki and the Bird, La Descarga, and more will be on hand, pairing each dish with a Bombay Sapphire East cocktail. Check out the full menu here. Tickets are $150 for VIP early admission and $88 for general admission. Tickets can be purchased here. This year marks LA Scotch Club's 6th annual celebration of peated whiskies. Along with over 100 whiskies, there will also be craft peated beers from local breweries and cocktails from LA's mixologists. Big Slim's Hickory Creek BBQ will be smoking meats over wood and peat. That's not all, there will also be a cigar lounge and Irish rock and folk live music. Tickets are $100 pp and can be purchased here. Event starts at 5pm. Angelenos love fried chicken so much that we are having the third annual fried chicken festival. This festival gathers some of the city's best chefs, though, including Kris Morningstar, Jason Travi of Superba, and Brian Dunsmoor, along with those known for their fried chicken like Jesse Furman of Free Range LA. Beers and cocktails will also be on hand to wash down all the chicken. Tickets are $65 for general admission and $90 for VIP which includes one hour early admission and guaranteed seating. Tickets can be purchased here. 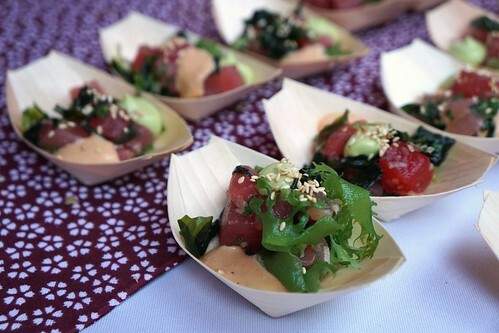 The fourth annual LA Food and Wine Festival returns with over 20 events spanning 4 days. 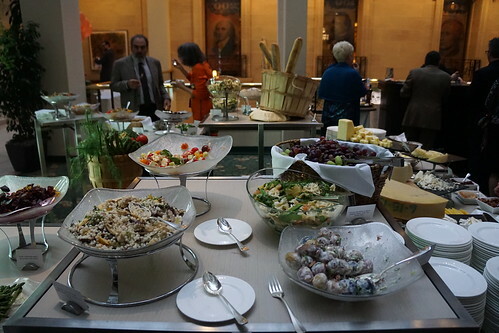 Attendees can take their pick from special lunches with celebrity chefs to the big grand tasting events. Among the events offered are Caviar and Champagne, lunch at Scarpetta with Scott Conant and Graham Elliott, lunch at Republique with Walter Manzke and Michael Tusk, the two grand tastings, Asian Night Market, and cooking demo by Iron Chef Morimoto. Times and ticket prices vary by event. See the LAFW website for more information. 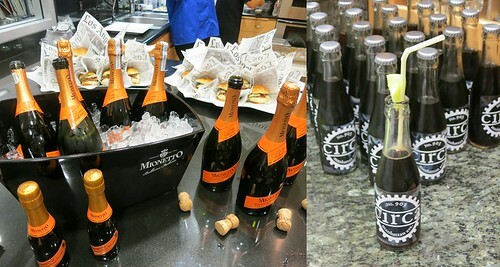 The annual Pancake Breakfast features breakfast and brunch items from some of LA's top restaurants. With brunch comes mimosas, Bloody Marys, juices, and coffee. Tickets are $30 if purchased before July 20. Tickets are available here. 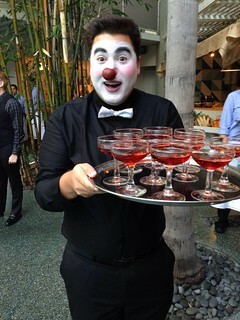 Los Angeles Times' The Taste has always taken place over Labor Day weekend, and this year is no exception. Unlike the LAFW, there are five events over three days at The Taste, including this year's Sunday Brunch which is co-hosted by Chef Thomas Keller. Ticket prices range between $100-150, or $299 for a weekend pass. Purchase tickets here. This is a rather last minute announcement, but Sorprendente returns to Oliverio at the Avalon Hotel in Beverly Hills for a second time this Thursday, May 8! I went last year and quite enjoyed their summertime poolside celebration, so I thought I'd share while there's still time. 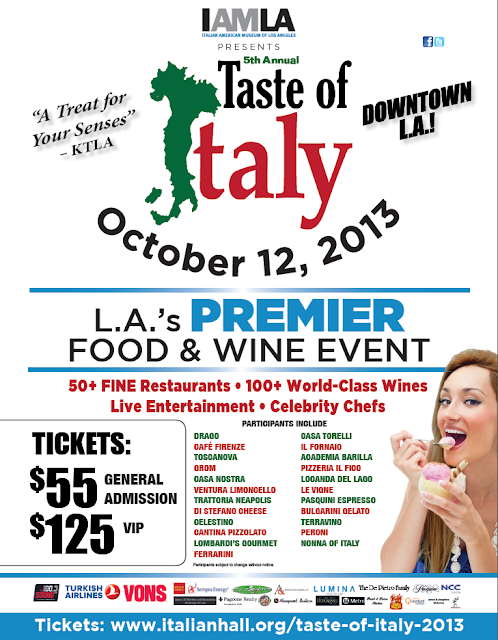 We all know how great Italian food and wines are, and we have some great restaurants in Los Angeles, so a Taste of Italy festival in Los Angeles certainly sounds good! 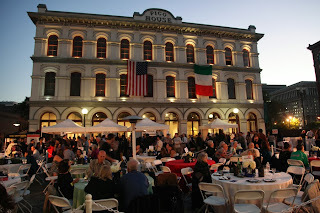 The 5th Annual Taste of Italy will be held on October 12, 2013, at beautiful, historic Pico House in downtown LA. 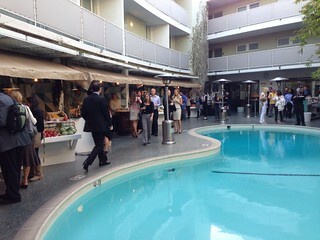 The event benefits the Italian American Museum of Los Angeles, which is planned to open in early 2014. 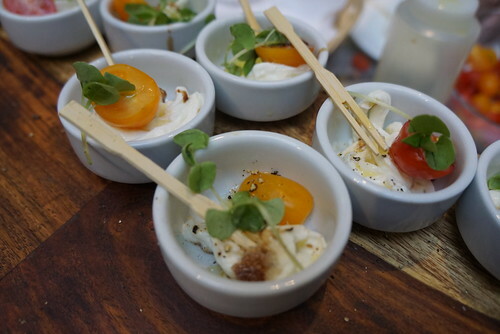 Participants include Di Stefano Cheese (who makes the best burrata in town), Bulgarini Gelato and GROM (my two favorite gelaterias), Trattoria Neapolis, Drago Centro, Il Grano, Fabio Viviani's Cafe Firenze, and more. The event also boasts 100+ Italian wines to be poured (see more participants listed here). There will be live entertainment from Italian artists and "chanteuses". The $55 general admission ticket gets you 6 food tickets and 4 beverage tickets (more tickets are available for purchase at the event). The $125 VIP ticket gets you VIP entrance (and red carpet photo), 6 food and 6 beverage tickets, a VIP gift bag, and 20% off your purchase at Gastromercato. Tickets can be purchased here. PLUS, get $5 OFF your ticket purchase with code GOURMETPIGS. Want to win VIP tickets for you and your friends? You can create a video of yourself singing Taste of Italy or the SoCal Italian American history for a shot to win (see more details here). There will be cooking demos with Ari Taymor from Alma (named Bon Appétit's Best New Restaurant this year!) at noon, Michael Cimarusti, and Sherry Yard. Sunday, Sept 1, 11am: Labor Day Block Party. There will be cooking demo with Nancy Silverton, Evan Kleiman. 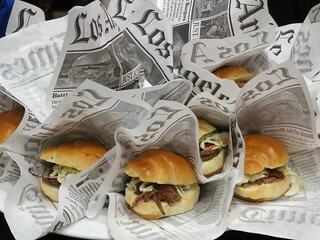 Noelle Carter (responsible for LA Times' Test Kitchen) will also be hosting a Competition BBQ panel. The more drink-focused event will feature a craft cocktail demo with the famed co-hose Matthew Biancaniello, Serena Herrick (Allumette), Christiaan Rollich (AOC), and Brady Weise (1886). There will also be cooking demo with Michael Voltaggio. Tickets can be purchased on the LA Times' website. 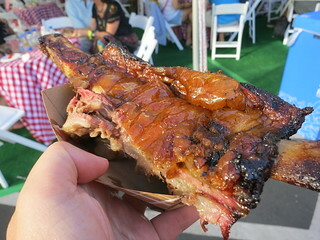 The LA Food and Wine Festival brings back a series of food events over four days on August 22-25, from Italian festival with Giada De Laurentiis, Asian Night Market with Iron Chef Morimoto, lunches at restaurants around town, to the Lexus Grand Tasting on the last day. The last event of the series is a cooking demo with Duff Goldman. 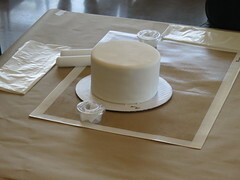 As a preview for the festival, I got to go to Duff's Cake Mix on Melrose to decorate a cake. 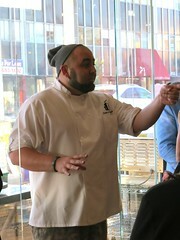 Duff Goldman was also in attendance. 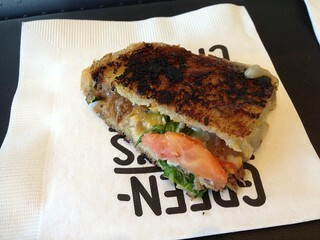 Before getting down to decorating we mingled with some wine and Chef Eric Greenspan's grilled cheese sandwiches. We started with a white cake, just like a white canvas for painting. 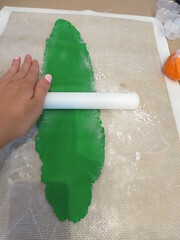 The theme was California cuisine so we decided to make a "kale salad" and started rolling out the green fondant. 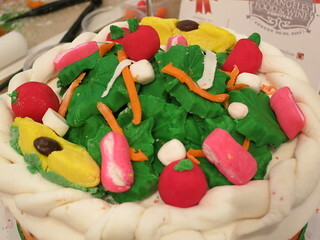 I used a leaf mold to make the "kale", made red fondant balls for cherry tomatoes. We made sliced carrots and avocadoes, copying LA OC Foodie and Shop Eat Sleep's cake of avocado, sushi, and taco. Voila! Our kale salad cake! The other attendees' cakes were pretty impressive. The Taste of Mexico is returning on October 11, and you have until July 31 to get special presale pricing of $50 VIP admission ($20 off with code LASFF13) and $40 general admission ($10 off with code LASFF) on their website. Some of the best Mexican restaurants in LA like La Casita Mexicana, Coni Seafood, La Guelaguetza, and Mexikosher will be there, along with various tequila, wine, and Cerveza Victoria to quench your thirst. 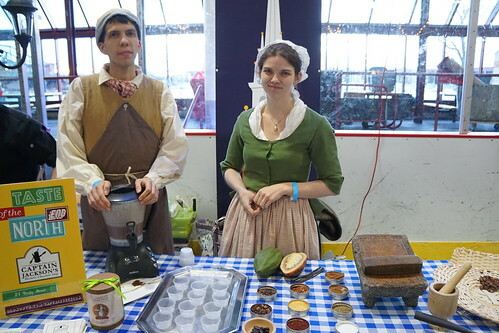 Last year, the Guelagetza siblings even got these sweet outfits for mixologists Steve Livigni and Pablo Moix.